Jonah 1: The Call of God – .this.liminal.state. Today is going to be a very practical sermon on the call of God on our lives. It will be based in Jonah 1. Let’s read it together. Three questions I want to ask you and hope to answer in a small way this morning. Before I get too far into this message, I want to define the word “calling” for you. The way I am using it is as follows. 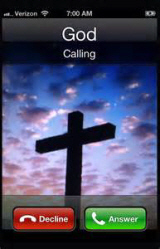 A calling is an activity, or action that you engage in by God’s design, and for His purpose. Ephesians 2:10. – there is a spectrum of calling in each person’s life: general callings, specific callings. Present callings/future callings. – as Christians there are things that we are all called to do, but what that looks like can be very different for each of us. We are all called to the same principles, but the practices might look very different. – there may be things that God is asking you to step into as a calling. – don’t make a calling bigger than it is, or smaller than it should be. How do you know? For Jonah, it was clear because he was a prophet, today, it calls for some work on our behalf to know what God is calling us to do. – present callings are easy, they are what you are already doing. – founded in the word. – Run from a calling: 2 ways, you can ignore where God has placed you and run to the next great thing, or you can run from an area God is calling you into. – embrace the call: submit yourself fully to what God is birthing in you through His word, growing in you through prayer, and confirming thorough others. Step in faith towards the calling. Trust that God will meet you there. See your current roles in life as callings from God, He wants to use you to bring His word to others who need it!